Tottenham Court Road now full step free! 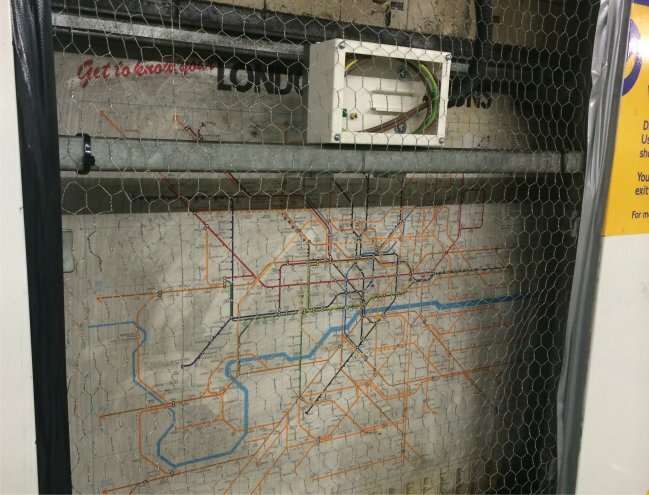 With the escalator works taking place at Embankment station at the moment, during the installation of what looks like a new electrical box, workmen stumbled across an old map, hidden behind the white panelling that makes up the walls. 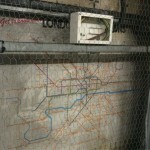 It’s on the eastbound platform of the District/Circle Line and is partially obscured by a mesh that covers it, but you can still clearly see a map from, well, what year? 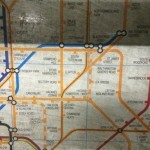 “Get to know your London Connections!” says the map, with all the tube lines in their normal colours and every other railway in Overground orange! But this is before the Overground, that’s not there; and the DLR is not there either so it must be pre-1987! Look closer for more clues, and you’ll see that Broad Street is marked on the map – right next to Liverpool Street – which dates it to before 1986 when that closed. Then, we spotted Stepney East railway station! That is what we now know as Limehouse Station and was called that up until 1987. The ‘escalator link’ between Bank and Monument is shown, and the North London line too carries on past Stratford down to Woolwich … all great memories of what London used to look like. The biggest give-away clue is that that Heathrow Terminal 4 on the map was shown as being ‘Under Construction’. It opened in April 1986. 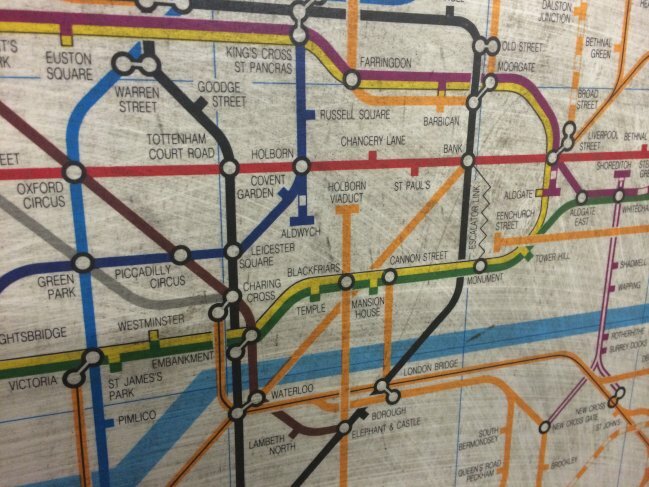 We did some research and found that the map was produced by Cooper Thirkell and that the release of this map coincided with the Greater London Concil’s introduction of the Capitalcard – which later became renamed the Travelcard. 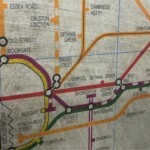 But overall it makes us wonder – all those station with modern white undecorated fascias, what other tiles and old maps linger behind them, untouched for many many years … ? This entry was posted on Monday, September 1st, 2014 at 8:00 am	and is filed under History, Tube. You can follow any comments to this entry through the RSS 2.0 feed. Both comments and pings are currently closed. Copyright © 2012-2019 Frost Marshall LLP - Geoff Marshall and Matthew Frost. All Rights Reserved.